Private lessons are provided to make sure that a student fully understands the material provided to them. In order to grow as a singer, an instructor can work with the student one-on-one in order to strengthen certain weaknesses and continue to grow on their strengths. Lone Star of Music provides three different locations, which makes finding a voice instructor much more convenient for voice lessons. With locations in Southwest, Dripping Springs, and Westlake, this provides a large opportunity to find the perfect voice instructor to fit your needs. Multiple locations also provides more options to find a voice instructor that you like who can work in the area you desire most. It is important to show off the skills the student has to the community. Lone Star School of Music helps give a little back by providing shows to show of the student’s skills to the community with performances. 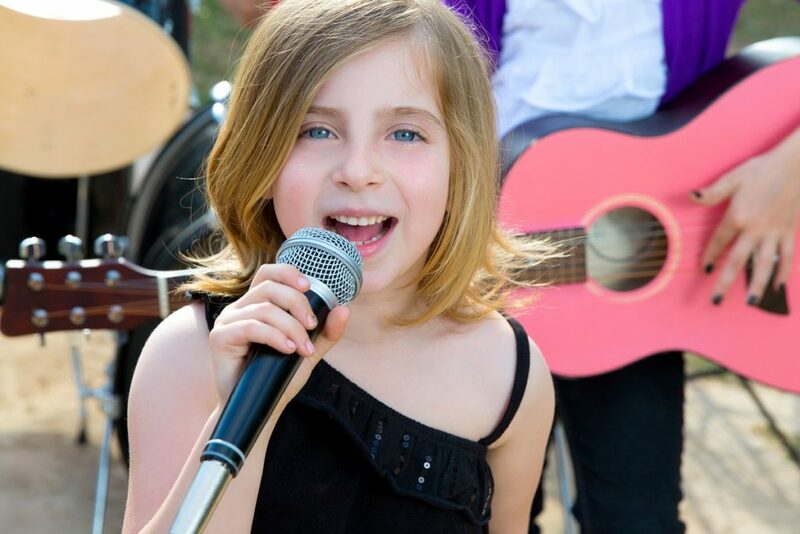 Performing in front of a crowd helps build a student’s confidence. With confidence and good feedback, the student can grow as a musician and want to continue on their musical career. Summer camps are provided in all three locations. This is a fun way for our growing musicians to get to know one another while learning how to better their musical skills. It’s also an opportunity for kids to build friends in their field of music, while also having a fun-filled summer. The summer camps let musicians learn how to write songs, compose music, receive coaching, practice team building, and feel like a real band. For Lone Star School of Music, it is important that their students are enjoying themselves on and off stage. To this end, we offer group lessons several times a week. This is another great way for students to get to know one another and have fun while bonding and singing. Voice lessons do not just have to be singing to an instructor. It can be a group building where other students can provide support while building each other up. This allows an open environment for team building while building on vocal skills. Lone Star School of Music is the fastest growing music school in Austin, and one of the best places to build yourself as a musician. We are all about having fun while learning a new musical skill. Call us today at (512) 712-5187 for more information about Austin voice lessons, or to find the closest school near you.